This bird's diet puts it at risk. When Florida became a state in 1845, the legislature declared the Everglades, America's largest wetland, totally worthless. In 1905, Napoleon Bonaparte Broward was elected governor on a campaign to drain them. So over the years, the slowly flowing "River of Grass" has been replaced by a series of reservoirs with little water movement. The endangered Snail Kite feeds only on the Apple Snail. And neither kites nor snails flourish in places that are permanently under water. Learn more at StateOfTheBirds.org. But today, we know how important wetlands are. They soak up storm water. They remove toxic chemicals that contaminate drinking water. 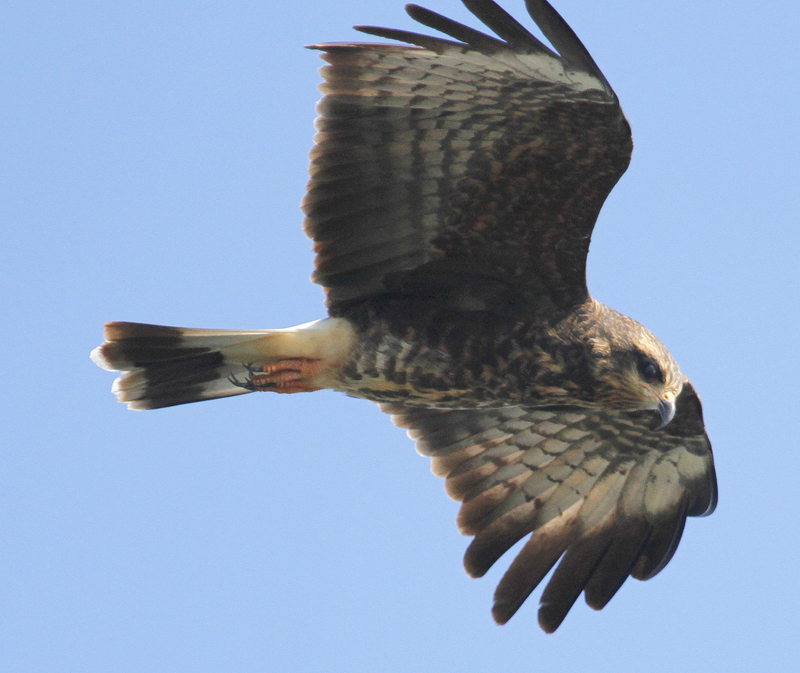 And they’re home to a bird called the Snail Kite, which in the United States is found only in south Florida. Over the years, the slowly flowing “River of Grass” has been replaced by a series of reservoirs with little water movement. The remaining Everglades are only half their original size. Before we altered them, they filled during the summer rainy season and gradually dried out during winter and spring. 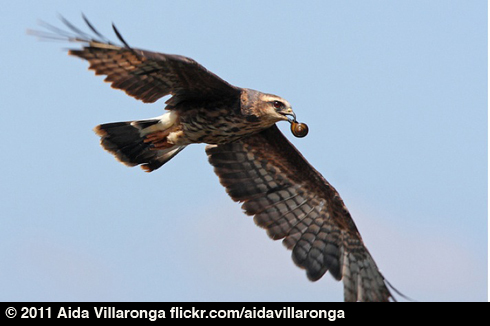 The aptly named Snail Kite feeds only on the Apple Snail. But the snails don’t flourish in places that are permanently under water. They do best with seasonal wet and dry periods and flowing water. So, the Snail Kite is endangered in the Everglades, because most remaining habitat is too wet and stagnant. The kite, like the snail, depends on variable flows and wet and dry seasons. It’s a classic boom and bust species, one that thrives when wetlands are allowed to function in a natural way. Today’s show brought to you by The Lufkin Family Foundation. For BirdNote, I’m Michael Stein. Bird sounds provided by The Macaulay Library of Natural Sounds at the Cornell Lab of Ornithology, Ithaca, New York. Snail Kite 134176 recorded by G.Vyn and M.J. Fischer. Corkscrew Swamp Sanctuary (Audubon) 138398 adjacent to Everglades, recorded by G. F. Budney. * In 1905, Napoleon Bonaparte Broward was elected governor on a campaign to drain them.